The Wander Inn found us, I guess you’d say. We weren’t in the market to buy an inn, nor had the thought ever crossed our minds. But then when it happened, we realized it was the one thing we never knew we needed. And it has been the perfect addition to truly tell the Junk Gypsy story. 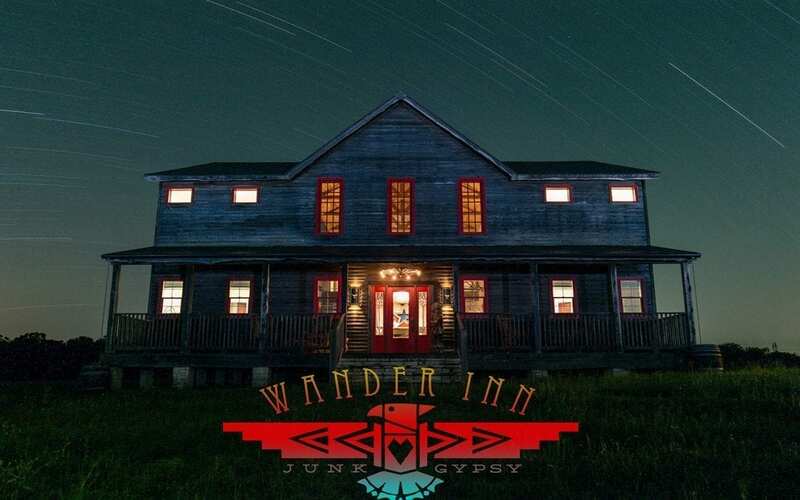 Over the past few years since the Wander Inn found us, we’ve been trying to get it perfect for our Junk Gypsy family of customers and fans across the globe. Being lifelong travelers ourselves we’ve learned a thing or two about what we like, so we sat in the rooms and envisioned our perfect combination of elements, amazing décor, piles of books and records, roadside treasures, great showers, gorgeous bedding, rooms with a view and of course, a place that has a story to tell.